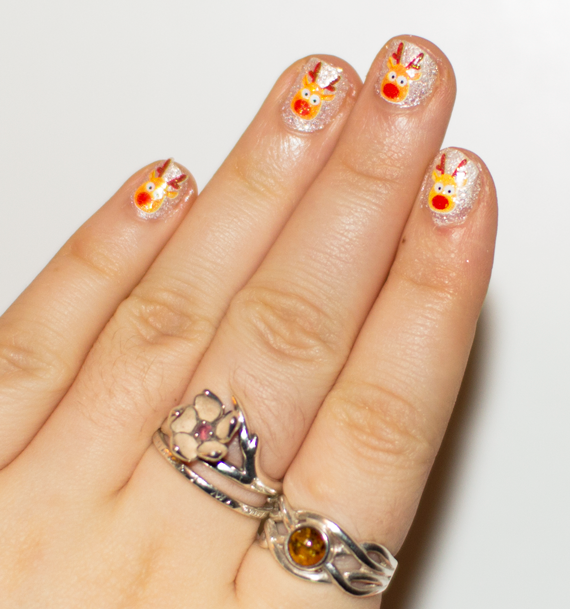 For the 1st of December I have done some festive Rudolph Reindeer Christmas Nail Art! 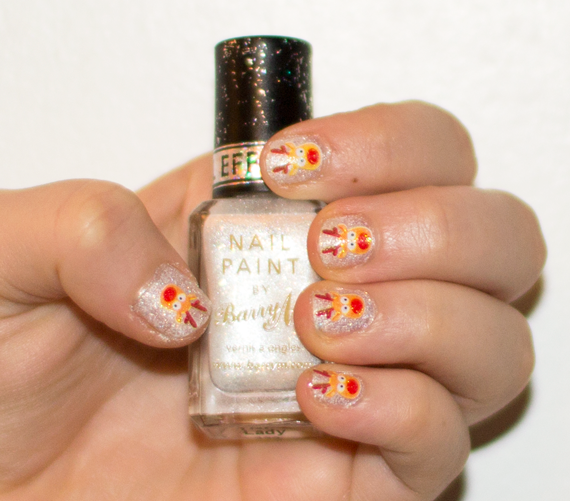 I used Barry M textured nail varnish – White Pearl Lady as the base. This polish is gorgeous for this season, the polish gives a deep glittery snow effect and I use it all the time at the moment. I then applied with tweezers my Rudolf reindeer nail stickers that I picked up in Poundland. If you cannot find these stickers then there are some similar available at Etsy. I then sealed on the stickers with No7 Stay Perfect Nail Top Coat.